Consider the Roman philosopher, orator and politician Marcus Tullius Cicero. Two thousand years ago, when Cicero was sent to the provinces, he was unhappy with the commercial news packets coming from ancient Rome. As New York University’s Mitchell Stephens explained in “A History of News,” Cicero wrote back to Rome to complain. He wanted to know how the senate voted. Instead, he got stories about gladiators and ostriches. Many people have felt this way — that the news isn’t what they wish it was. The Newspaper Association of America tells us there are fewer than 1,400 daily papers covering more than 50,000 cities, counties and “minor civil divisions” like towns and villages. This means a great deal of our democracy is not being covered by the fourth estate. It has always has been that way. A newspaper I edited, the Oakland Tribune, won awards for watchdog coverage. But we thoroughly watched over perhaps only 5 percent of the government within our region. The point is, the market has not suddenly failed to provide news in the public interest. The Federal Trade Commission should care about shrinking local flows of news and information. But it also needs to think about how American might create 20 times more than what we have now. What is holding us back from that goal? 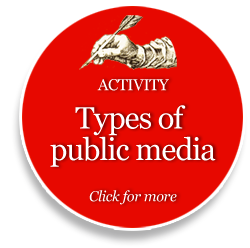 This nation has made rules involving media for hundreds of years. They start with Benjamin Franklin’s postal subsidies for the colonial press. For the most part, though, our nation’s current media policies are just old and in the way. Our policies are children of the industrial age, not the digital age. They often block innovation and the creation of new journalism. Public media. 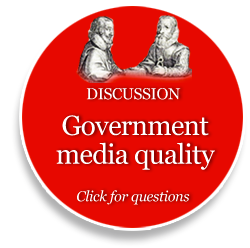 Much of the government money that flows to public media is status quo money. Not good enough. Why shouldn’t everything the Corporation for Public Broadcasting funds should be for media innovation, for making public media more local and more interactive? That would require a new policy. Nonprofit digital startups. Our old rules don’t treat them fairly. Tax rules make switching to being a nonprofit or a L3C difficult. Nor do the rules allow these types of news organizations to exercise as much community leadership as for-profit entities, in, for example, the writing of editorials. Access rules don’t give nonprofit news organizations equal access to press galleries. University journalism. Students everywhere are showing they can do great journalism. 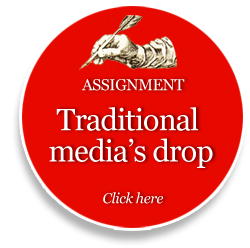 (By the way, if the nation’s 200,000 journalism and mass communications students spent just 10 percent of their time doing actual journalism, that would more than replace the journalism lost in the past 10 years from the elimination of jobs by badly run news businesses.) But our old rules don’t treat student journalists fairly. 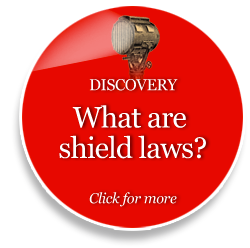 Many of our shield laws don’t protect them. They aren’t considered true journalists. The government itself is a huge producer of mass media today. In general, however, it is not a good producer. For the most part, local, state and national government can’t seem to use new technology to do a better job obeying its own freedom of information laws, not even on the people’s websites that it now runs. I’m not sure how much of this the Federal Trade Commission can or should try to change. Some of it falls squarely on the shoulders of digital media literacy. If schools and universities expand the teaching of that literacy, the Ciceros of the world will demand more on their own. There is one big thing the FTC can do: Be sure consumers have universal broadband access. Without digital access, what kind of journalism falls in the forest doesn’t matter. You won’t hear it. You won’t be part of the digital public square. The FTC should be out there saying: “Hey, Federal Communications Commission, we are going to dog you until you deliver on universal affordable broadband for all consumers.” That’s the level playing field upon which everything depends. This speech was originally was presented at a Federal Trade Commission hearing on the future of news. Since then, Knight Foundation focused two of its grant competitions, the Knight News Challenge and the Knight Information Challenge, specifically on the challenges of open government.